Whether you are interested in the Ram 1500, the Ram DS6L62, or the Ram 3500, Perkins Motors can help you find what you’re looking for. Our truck center in Colorado Springs offers an extensive selection of new Ram trucks for sale. Browse our inventory of Ram trucks online, then visit us to explore our models in person. When you find a truck you are interested in, one of our team members can set you up with a test drive! 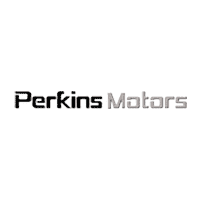 Why Shop at Perkins Motors? Visit our truck center near Castle Rock to schedule a test drive with one of our new Ram trucks today! Have any questions? From questions about the Ram 1500 towing capacity to inquiries on the pros and cons of lifted your truck, our team at Perkins Motors is happy to give you more information!